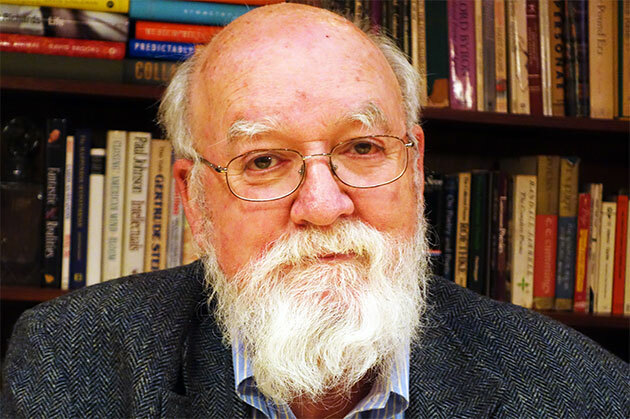 Daniel Dennett. A philosopher interested in consciousness. First 6 minutes and then to 16 minutes of this video are wonderful – the transcription is good if you only have time to scan. Some quotes are below. I love the idea of a risky brain that is not hierarchical but is a mix of anarchy and democracy. There is competition between individual neurons – descended from free cells that survived for a billion years on their own – and alliances of neurons. Social interaction and culture provide the drive and rewards for the risk taking brain.